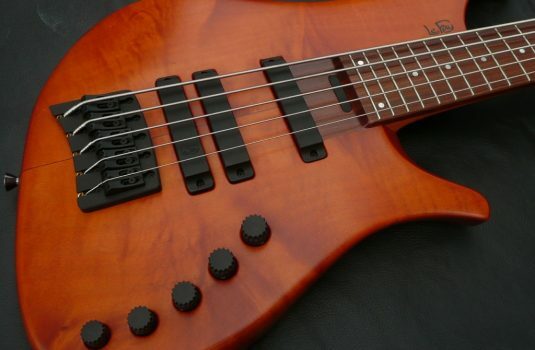 MINT – let’s establish this fact immediately. 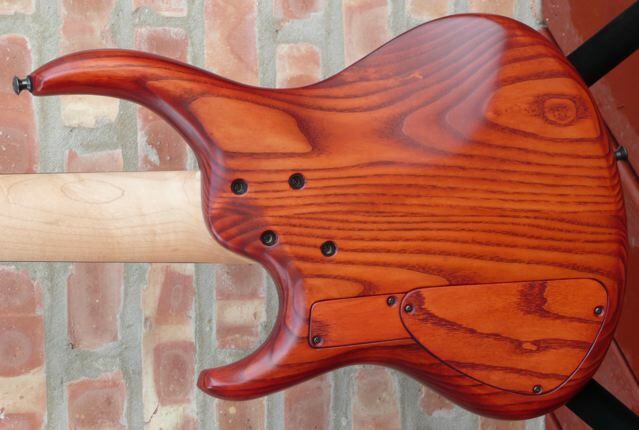 And, a bit out of the ordinary for Michael Tobias is the matching top and back. 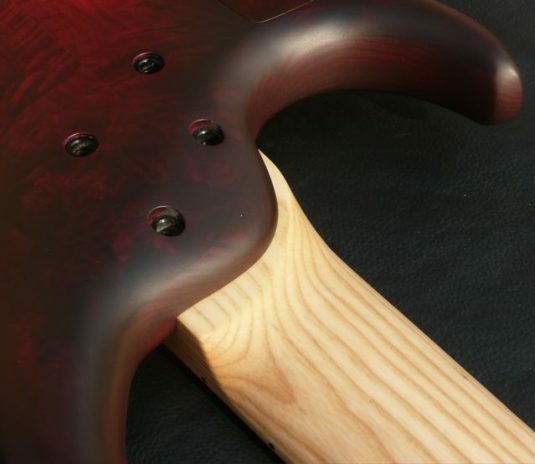 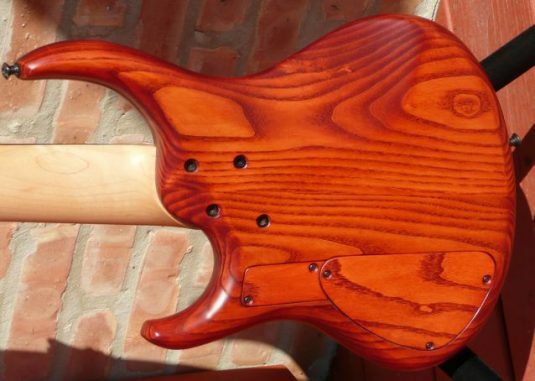 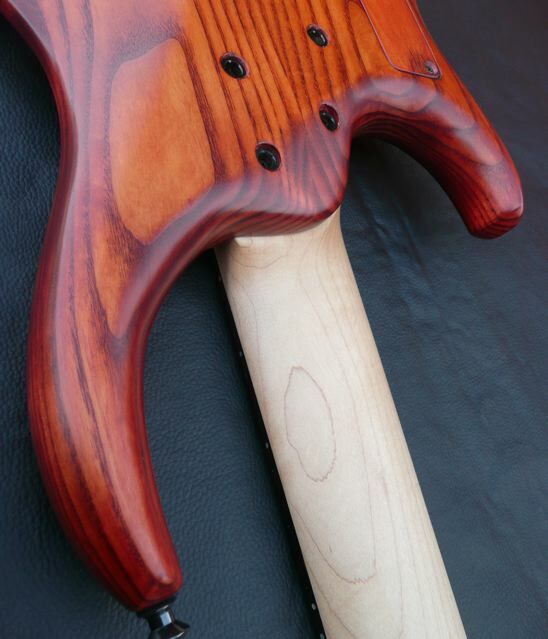 That is a Burl Maple, Black Cherry tint, with an Ash body core. 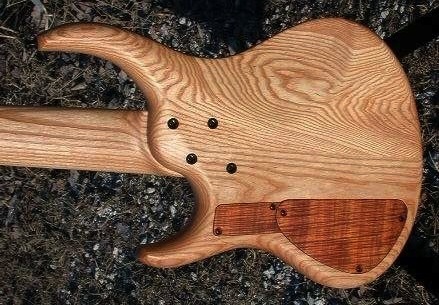 The neck is Ash and the fretboard is Maple. 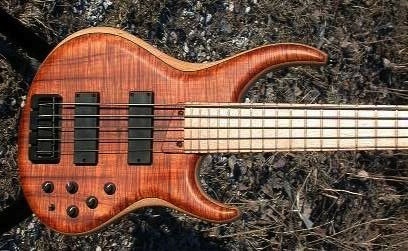 If warm, soft, and fuzzy is what you seek, look some more. This bass has an attitude – aggressive and in your face comes to mind. 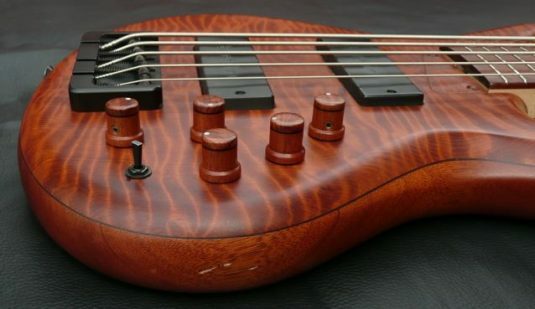 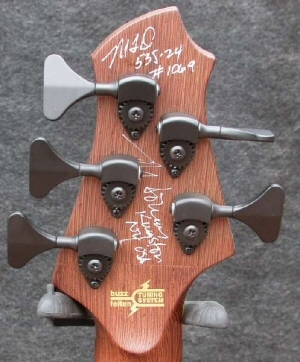 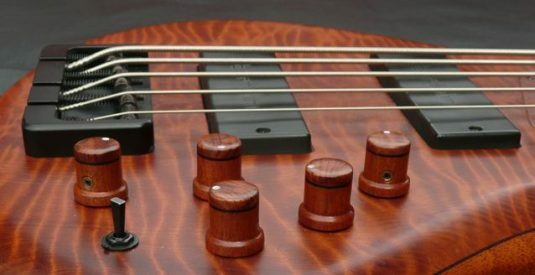 This is very cool on a bass , not so cool in people. 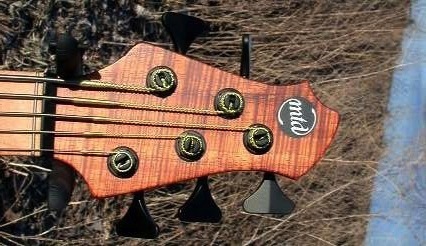 Got anger issues? 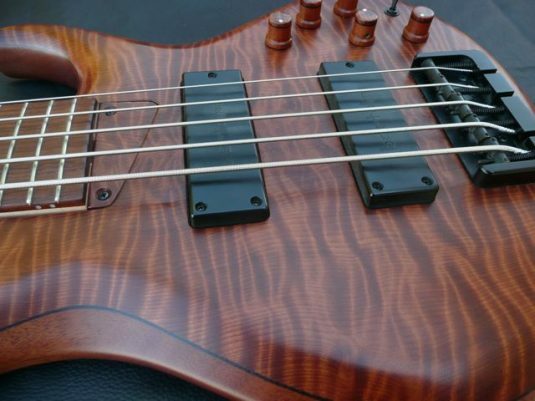 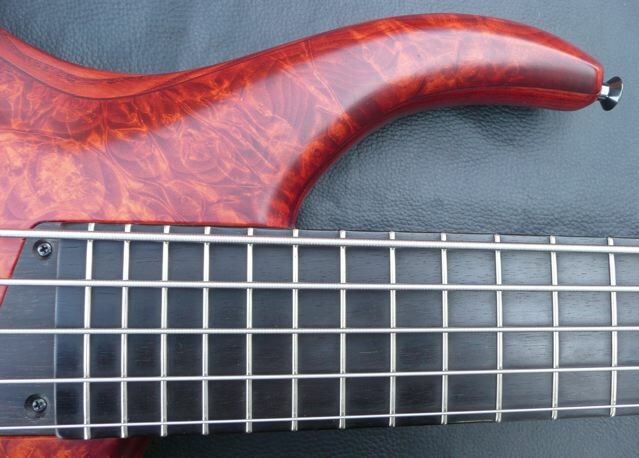 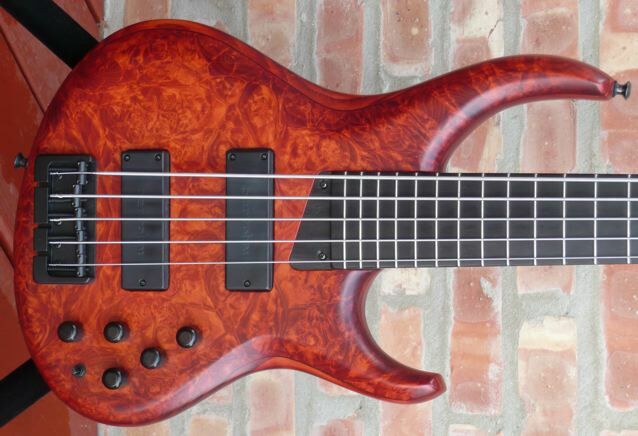 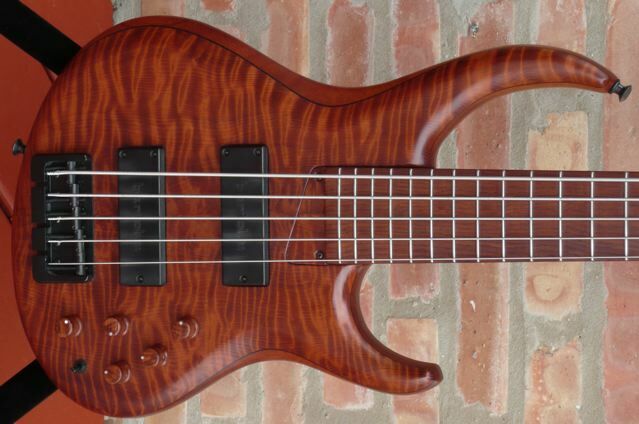 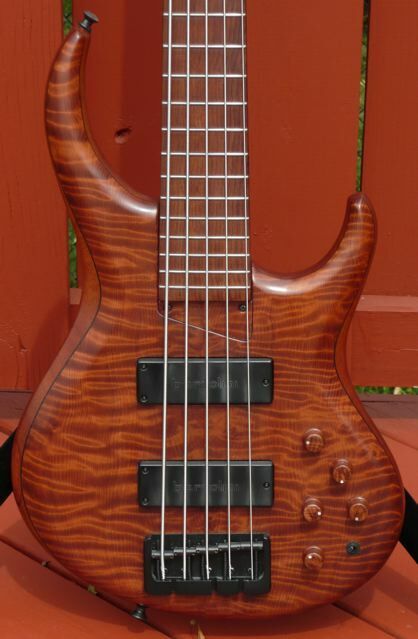 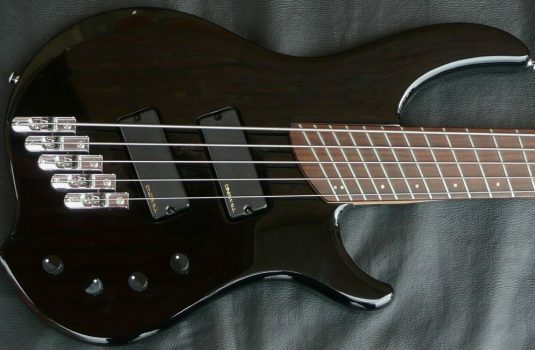 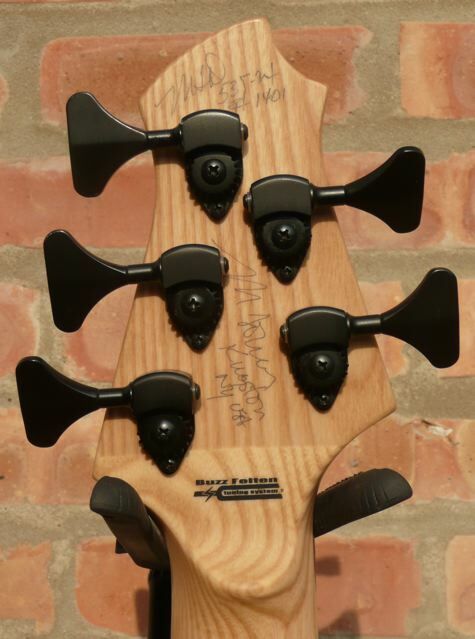 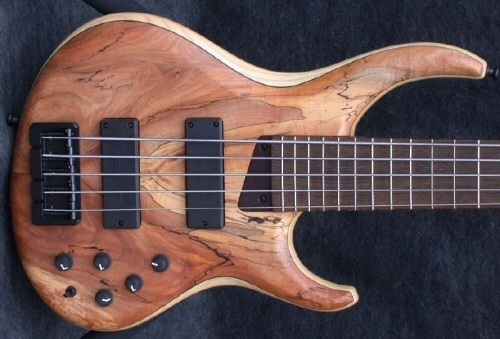 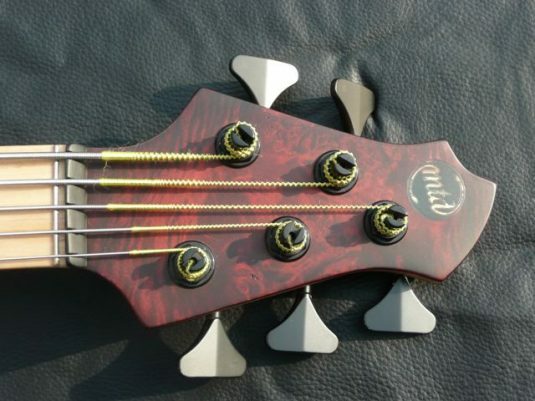 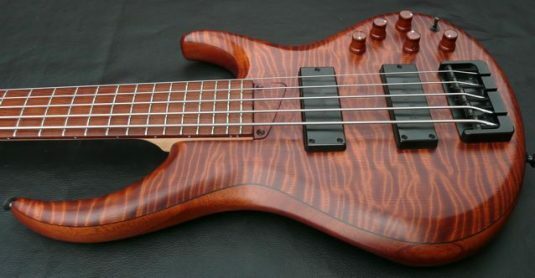 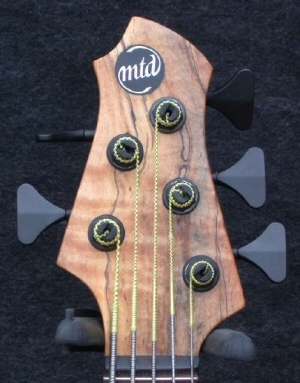 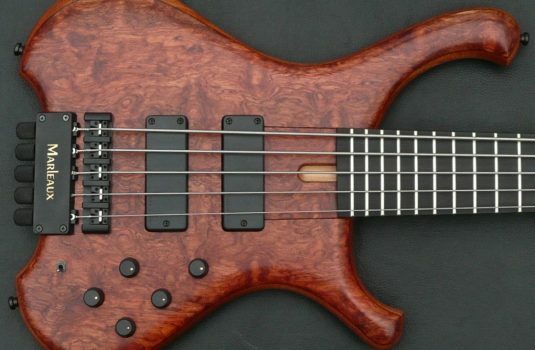 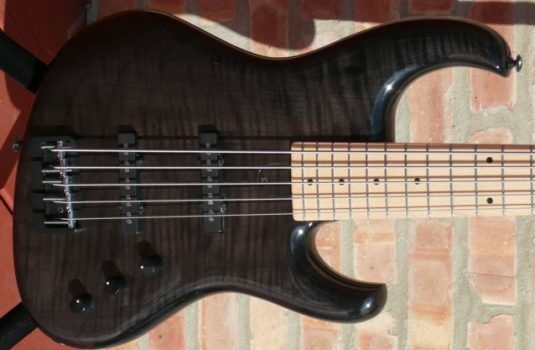 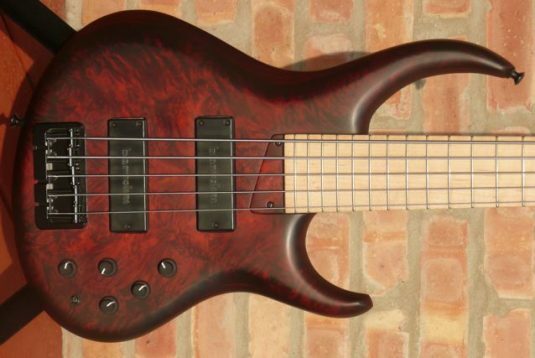 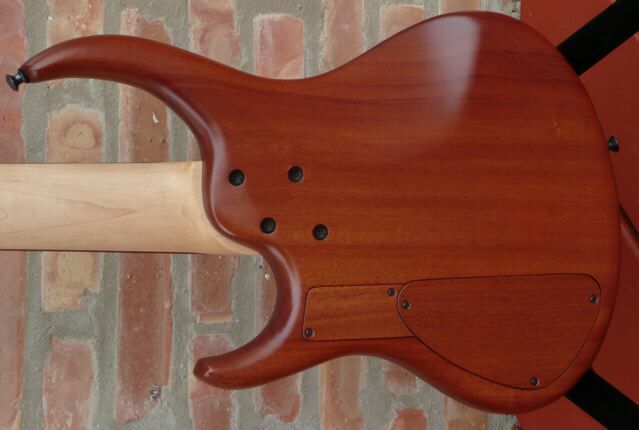 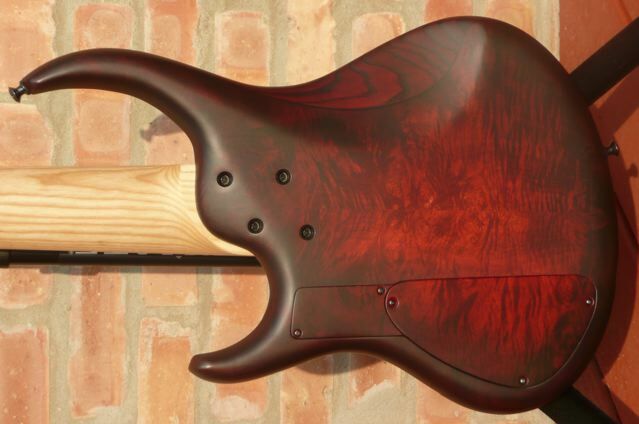 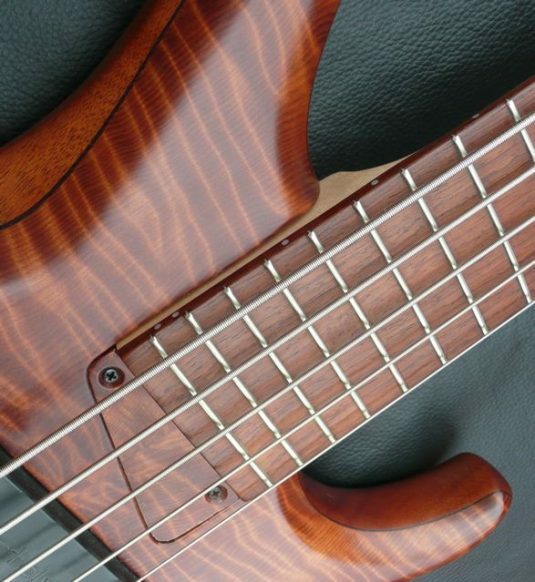 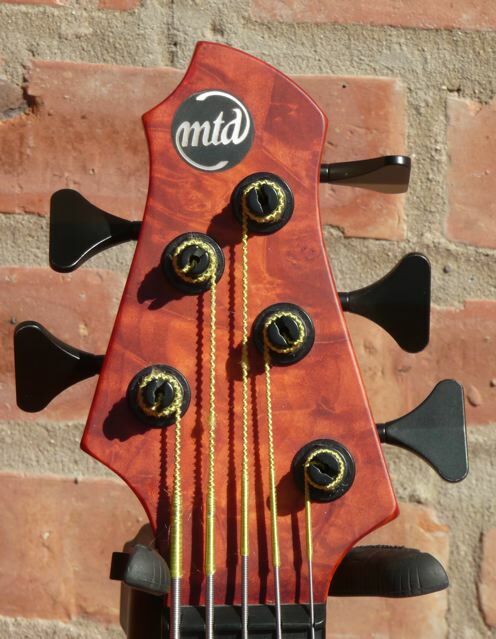 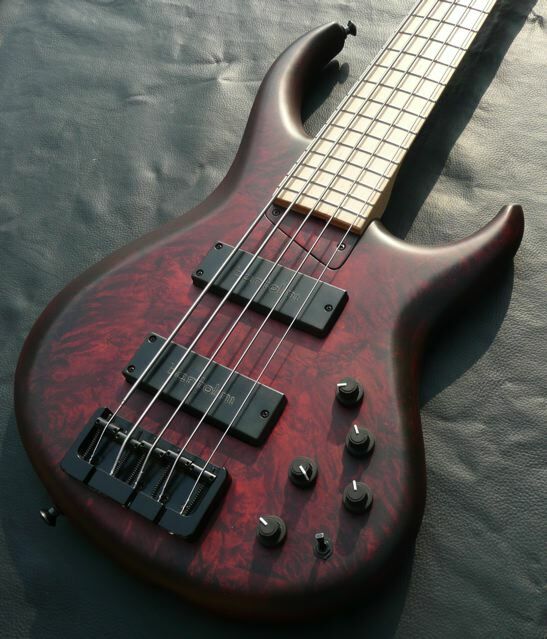 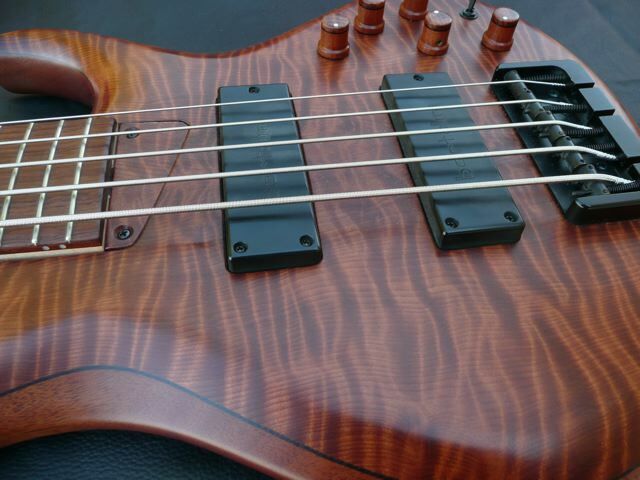 Play this bass as your healthy release, and be sure to treat your family right.With the OHSC.